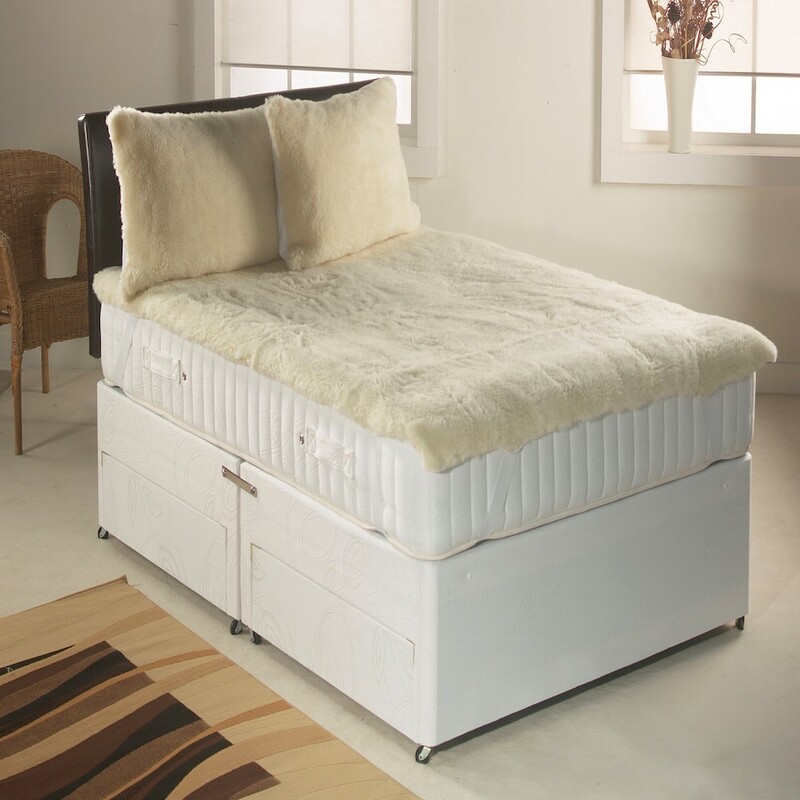 A supremely luxurious, reversible mattress topper made with 100% Merino Wool natural fibres to guarantee year-round comfort. 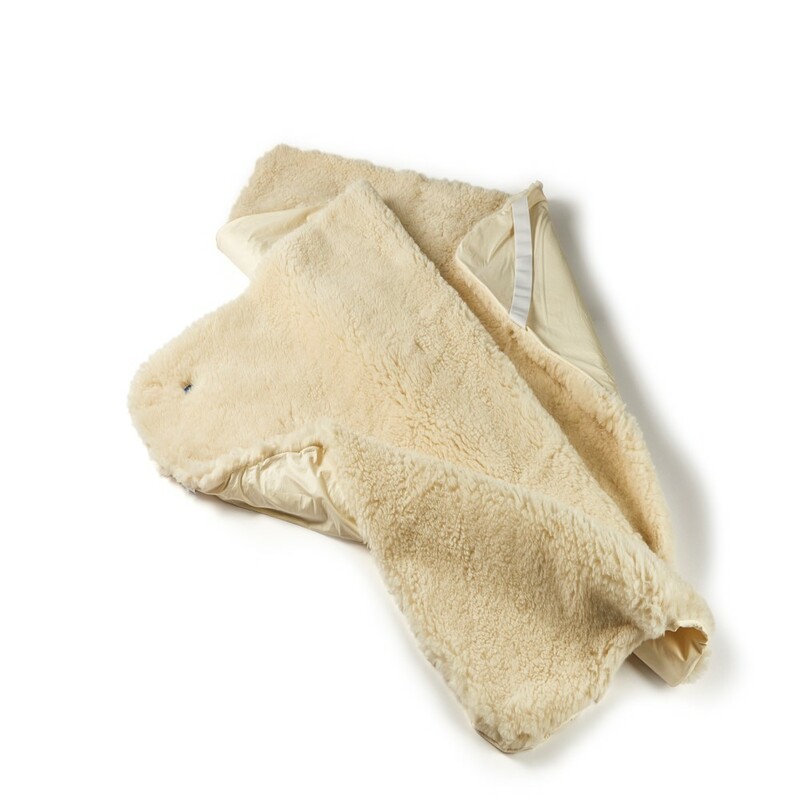 The deep pile of Australian merino wool (1200 per square meter) will keep you cosy & warm in autumn and winter, then just flip it over to the crisp pure 100% cotton side to keep you cool in spring and summer. 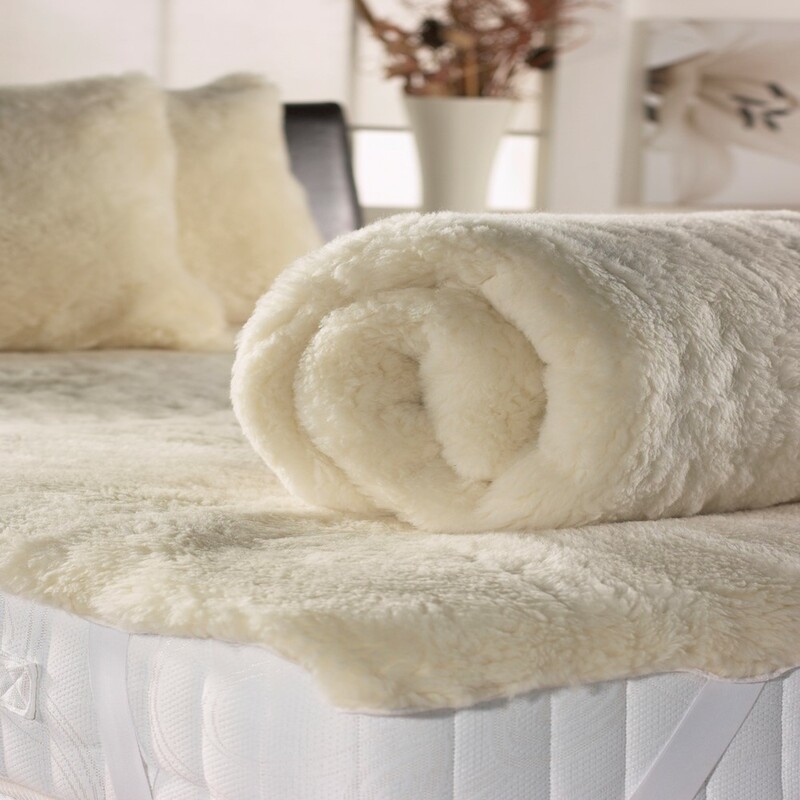 Benefits of Merino wool over normal bedding. The unique properties of merino wool moves moisture away from the skin allowing you to stay cooler and drier with a more consistent body temperature throughout the night. 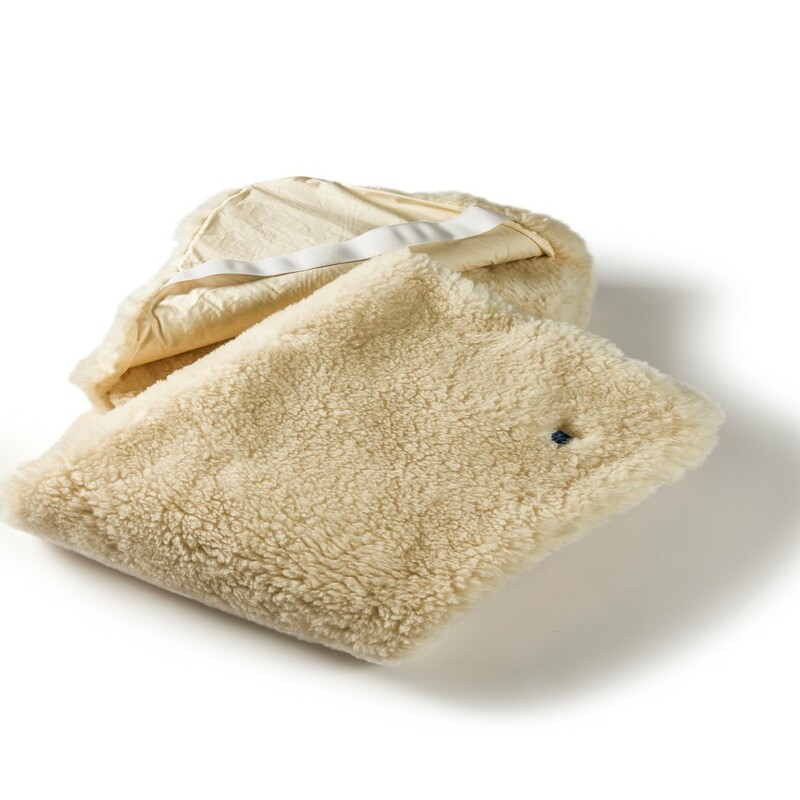 Wool bedding naturally inhibits bacteria giving you a better night's sleep and fewer allergenic problems. Moisture vapour is absorbed into the wool fibre structure reducing moist conditions which discourages the propagation of dust mites.